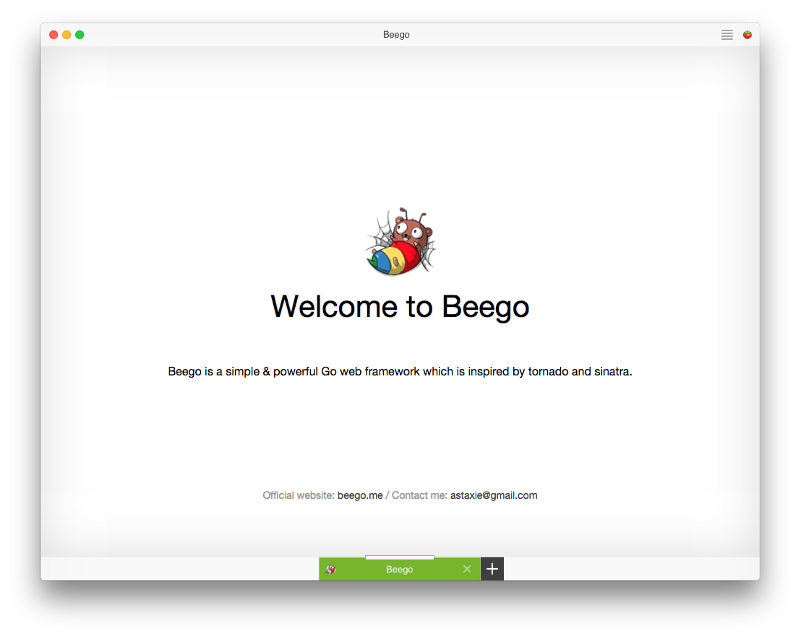 Beego is a fantastic web application framework from the Go China community. It currently powers some of the biggest websites in China, and thus the world. Let’s get started. For now I am going to assume you are running OSX or Linux. Getting Beego set up on Windows with the sqlite driver is nontrivial at best due to Windows being terrible. 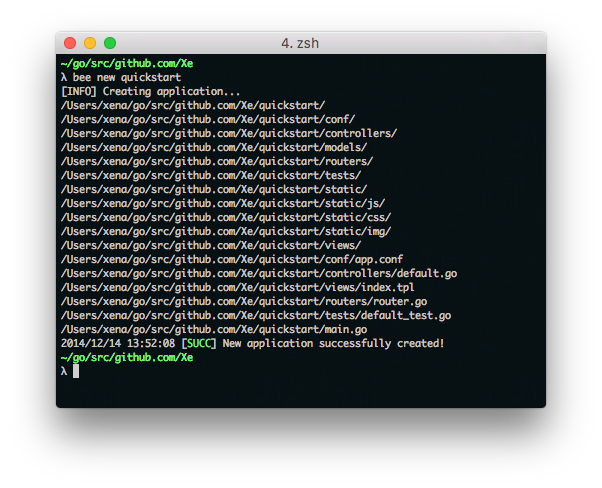 The bee tool will be present in $GOPATH/bin. Please make sure this folder is in your $PATH or things will not work. The bee tool created all the scaffolding we needed for our example program. Change into that directory and run bee run. Your application will be served on port 8080. 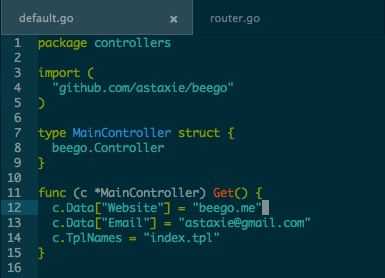 The Models are Beego’s powerful database-backed models (we’ll get into those in a little bit), the Views are normal Go html/templates, and the Controllers are the Go code that controls the Views based on the Models.